Originally posted in Feb 2008. We have talked about the more frequent use of tasers by p olice on citizens of all genders, races and ages. Tasers have been used on hearing-impaired and pregnant people in recent months. Many of us feel that the taser is used too quickly. It turns out that the police have a very specific process that they follow. It is called the 'use of force continuum'. Level One * Officer Presence - The mere presence of a police officer in uniform or in a marked police unit is often enough to stop a crime in progress or prevent most situations from escalating. Without saying a word, the mere presence of a police officer can deter crime by the simple use of body language and gestures. At this level gestures should be non-threatening and professional. This "zero" level of force is always the best way to resolve any situation if possible. Level Two * Verbal Commands - Used in combination with a visible presence, the use of the voice can usually achieve the desired results. Whether you instruct a person to, "Stop. ", "Don't Move. ", "Be quiet. ", "Listen to me. ", "Let me see your ID. ", or, "You're under arrest." -- voice commands in conjunction with your mere presence will almost always resolve the situation. The content of the message is as important as the officer's demeanor. It’s always best to start out calm but firm and non-threatening. The choice of words and intensity can be increased as necessary, or used in short commands in more serious situations. The right combination of words in combination with officer presence can de-escalate a tense situation and prevent the need for a physical altercation. Training and experience improves the ability of a police officer to communicate effectively with everyone she comes in contact with. Level Three * Empty Hand Control - Certain situations will arise where words alone will not reduce the aggression. This is the time police officers will need to get involved physically. This is a level of control employed by police officers minus the aid of equipment or weapons. There are two subcategories called, “soft empty hand techniques” and “hard empty hand techniques.” Soft Empty Hand Techniques: At this level minimal force would involve the use of bare hands to guide, hold, and restrain -- applying pressure points, and take down techniques that have a minimal chance of injury. Hard Empty Hand Techniques: At this level the use of force includes kicks, punches or other striking techniques such as the brachial stun or other strikes to key motor points that have a moderate chance of injury. Level Four * Pepper Spray, Baton, Taser - When the suspect is violent or threatening, more extreme, but non-deadly measures must be used to bring the suspect under control, or affect an arrest. Before moving to this level of force, it is assumed that less physical measures have been tried and deemed inappropriate. Pepper spray results in considerable tearing of the eyes, as well as temporary paralysis of t he larynx, which causes subjects to lose their breath. Contact with the face causes a strong burning sensation. Pepper spray, once thought an effective street tool for police officers has lost popularity over the years because of its ineffectiveness, especially on intoxicated persons. The typical baton is a round stick of various lengths, and is made of hardwood, aluminum or plastic composite materials. A blow with a baton can immobilize a combative person, allowing officers to affect an arrest. Common impact weapon used by police today include the PR-24 and collapsible baton. The Taser discharges a high voltage spark (50,000 volts) at very low amperage. The Taser fires two small darts, connected to wires, which drops a suspect at non-contact distance. These devices are easily carried. They are lightweight and affordable. Extensive training is not required, and they may be more effective on persons under the influence of PCP and other drugs who do not respond to chemical irritants. They can be especially useful for controlling non-criminal violent behavior, such as persons who are mentally impaired, or under the influence of mind-altering substances. Level Five * Less Lethal - This is a newer, acceptable and effective level of force that numerous police agencies have added to their use of force continuum policy and procedure. Less-lethal weapons were developed to provide law enforcement, military and corrections personnel with an alternative to lethal force. They were designed to temporarily incapacitate, confuse, delay, or restrain an adversary in a variety of situations. They have been used in riots, prison disturbances, and hostage rescues. Less-lethal weapons are valuable when: Lethal force is not appropriate. Lethal force is justified and available for backup but lesser force may subdue the aggressor. Lethal force is justified but it s use could cause collateral effects, such as injury to bystanders or life-threatening damage to property and environment. Level Six * Deadly Force - If a police peace officer has probable cause to believe that a suspect poses a significant threat of death or serious physical injury to the officer or others then the use of deadly force is justified (see Tennessee v. Garner). By the very nature of the profession, peace officers may at times be confronted with a potentially lethal threat. In most of these instances, peace officers will have no other option but to discharge their firearm in order to protect their life or, the life of others. 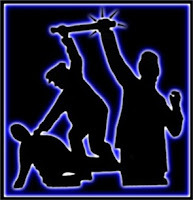 The use of force is an integral part of a police officer's job, particularly when arresting criminal s uspects. No one disputes that police should be permitted to protect themselves and others from threats to safety. What many of us think is wrong ... is that it doesn't appear that police officers are getting to Level Four and pulling out that taser gun much quicker than necessary. As a result, people are dying (Level Six) when it isn't warranted. Anyhow, a number of AfroSpear bloggers have been talking about taking some type of action to combat the increasing frequency with which tasers are being used in the Black community. I thought it worthwhile to document the Use of Force Continuum that governs taser use by most police officers. What say u? Before moving to this level of force, it is assumed that less physical measures have been tried and deemed inappropriate. That doesn't always hold true, there are some instances where Level 3 would risk the officer's life (such as when the 'suspect' has a knife) and instances where a fight would be impractical or dangerous to the officer and the suspect (like on a highway median). My brother is a former homicide detective and now a police academy instructor. I respect the work he does and other police officers do everyday. I think it's a judgment call to what level of force is necessary. Some police officers show bad judgment. There should be strict yet reasonable policies for the use of all weapons in type police arsenal. Blacks like other citizens should hold police accountable, and work with the police to develop appropriate policies. Great post! i have linked to the post on Tasered while Black. I am glad that you mentioned Tennessee v., Garner in your post. It was an important case. Please note that Garner is only one of two important cxases that govern police use of force in the United Staes. The other, and more significant case is Graham v. Connor. Have I ever mentioned to you that I am a Use of Force instructor for a federal law enforcement agency? I would be happy to advise you should you ever need it. Gunfighter - I didn't realize that you taught use of force continuum. I knew you were in law enforcement ... but, quite frankly, I didn't know about the force continuum until this taser incidents began happening. Do you hae any thoughts on the number of taser deaths? Do u think it is a misuse of the force continuum? I was also trained in a doctrine called "Plus One". This goes to what Woozie mentioned, that sometimes it's not practical to go through the continuum line by line. We were taught that it is appropriate to go one level above the level of the person you are engaged with. Therefore if the subject is verbally aggressive, the officer is justified in going to the physical level just above verbal commands. So al lot of times an officer will make essentially a judgment call that a subject who has not yet become physically violent is still likely to do so, and the officer will then appear to start with physical restraint. Having said that, I firmly believe that police officers by and large are inadequately trained (no insult intended to the trainers here or elsewhere is intended, but it is what it is), and are in many cases emotionally unsuited for the work. I have seen more officers operate badly out of fear than hate, or out of anger and out of control emotions in extremely tense situations. Some officers start off with the proper mindset, but working a long time in what basically amounts to combat conditions in many areas, will have a PTSD-like effect. Activists tend to approach these issues in a case by case manner. In actuality it may be more of a structural problem, where the focus of police operations and the manner in which these operations are conducted contributes more to the problems that arise than the technology or the training. Exodus - Thank you for the insights. I'm not sure that I agree with the Plus One policy as it seems to defeat the whole point of the force continuum. In any case, I agree with you that activists react to the case-by-case incidents. We've seen two taser-related deaths in the past week ... that is a cause for review of the current policy. I don't agree with calls to outlaw tasers in the police force. I do agree with calling for improved training. In your view, should that call be made on a local, case-by-case manner? or should it be done nationally in some fashion? Look at the alignment between police policy and training versus product instruction and warnings. There are specific warnings issued by Taser International, Inc., the mother company of tasers. These electrocuting instruments are not to be used on certain subjects, including those of a highly agitated state, bizarre and psychotic behavior, pregnant women, heart patients, addicts high on drugs, etc. These are subject to "Sudden-in-Custody Death Syndrome"... talk about judgment call. 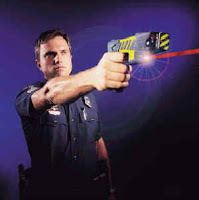 Fact is Tasers are Level 5 weapons, falsely classified as Level 4 (non-lethal). Whatever happened to tear gas and pepper spray? These tools are rapidly being replaced in the continuum chain with tasers. Villager: Thanks for providing this "force continuum." But I must say that it reminds me of taking sociology, social work or political science classes in college, where they had continuum lists, levels, and cases written by well-to-do white people which meant nothing once the former student entered into the real world of oppressed and poor people, especially oppressed and poor people of color. For example, the force continuum Level 1 notion that the mere presence of a police officer in uniform is enough to stop a crime or keep things from escalating. But what it really does is cause people to scatter or run. Police have been known to go to Level 2 notion of barking a command and seeing someone get more freaked out, or keep running, skip other levels and proceed to level 5 or level 6. Beyond continuum lists and levels, police need to do training that takes into consideration its historic role as caretakers of an oppressive system to different classes of people, especially African Americans. They need specific training on how to use language not just to bark orders but to cool down situations. And they need a more positive relationship with people in these respective communities so they can prevent some of these deadly situations in the first place. If that occurs, then people won't run away and will cooperate. 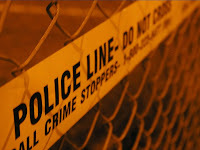 This means community policing strategies (getting out of cars, walking the streets, working with community leaders on a frequent and continuous basis to solve crimes and improve communities} as opposed to containment strategies, which essentially comes down to "Let those people drug each other and kill each other. But when we go in, do it gestapo-style." I'm not here to badmouth police. I know what I've always encouraged people to work with them. But, unless they get better training, and until they change their strategies, and make their new role as one of serving and protecting communities rather than containing it ultimately with harsh tactics and insensitive, cruel behavior that sometimes results in death. Of course this behavior has a kind of continuous effect: The more the police behave by doing things like racial profiling, tasing and other insensitive behavior, the more community members likely to be afraid of cops and not want to cooperate when stopped. This all will contribute to drive a deeper and wider wedge between police and the people they've pledged to protect. 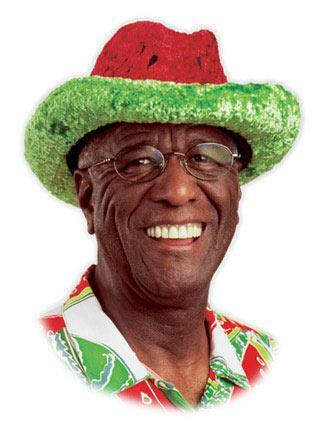 Villager: I forgot to mention that I grew up in several communities where the community policing strategy was used. Cops walked the beats, spoke to people on a regular basis. They were referees at baseball and basketball games and got booed as referees, not as police officers. When we were late getting to school, they would tell us that they were going to arrest us, if we didn't hurry to class. When someone knew move into the neighborhood, they would come around, introduce themselves and tell the new member it was a good neighborhood and they were counting on them to keep it that way. I think we need to bring back that kind of policing. Politicians say the community policing strategy is good but too expensive. I say the expense in the crimes going through the court, the stress on police and community people alike is too much not to bring it back. Blessings. Eddie - My understanding is that individual police departments can customize the 'use of force continuum'. If so, it would be nice to see a copy of the policy in effect in these communities where taser deaths are occurring. Have you seen the policy in Ft Worth? Is community policing strictly a cost factor? When I was managing security for the Minneapolis Public Housing authority, which had 38 highrises, a family developments, and other apartments and houses, this is what I was told by the officers I oversaw. But I'm sure that's not the only reason. I also was told that there was a difference of opinion among the police administration. Some cops, especially older ones, leaned toward community policing. In fact, some of them operated under community policing back in the day. They actually loved the interacting with people in the neighborhoods. Others cops, especially the younger who had never worked under community policing, leaned toward the containment strategy. They wanted action, but they didn't necessarily wanted to get to know the community. So that division was a factor, I was was told. But, ultimately, it was funding that ruled the day. Funding police is expensive. This fact made the decision easier for members of police administration's and mayor offices that that cared more about political careers and police promotions that the community they were supposed to serve. I'm sure the police or those who work with police now could fill you in. But I haven't said anything to make me feel that things are any different today except the fact that police have even less resources to do even containment work today. Blessings. The other factor was the relationship between the cops and community. Here in Minneapolis, relationship between cops and the community had gotten so bad that residents didn't want community policing. Others did, but the ones who screamed the loudest seemed to have made the greatest impact. So community trust was a factor as well. Villager, I don't know about today. But when I was involved with police, I found that a majority of residents, including black residents, genuinely wanted a good relationship with the police. They saw the police as a vital resource in protecting them from thugs in their neighborhood. But oftentimes, their perception of the police, whether based in fact or not, kept them from working with them. This goes back to the question of community policing versus containment strategies. Things will never be perfect, but I believe that, if we had community policing, if we had police funding and training to get to know people, to work with them as partners, we would have less crime, less police profiling, less tasering, youth suicides and less shootings in communities. Great post... This really is the most effective way of dealing with the issue; by empowering communities with the information to call for structural change. Kevin - Asante sana. I think that we helped to raise awareness of this Use of Force Continuum last week during the Day of Blogging for Justice. On another note, how is the deaf gentleman who was tased by Wichita police last year. Is that issue resolved now? Another thought, Villager... you will find in many places, the continuum is no longer used, for the very reason that many people are under the impression that all of the levels on the continuum must be exhausted before you can get to deadly force. This simpley isn't the case. Force continuums vary, but they are only matters of policy for a particular police agency. In the case of criminality, the law is what takes precedence. A police officer can use WHATEVER amount of force necessary to get the job done, as long as that force was reasonable from the pesrpective of a reasonable officer on the scene. A police officer, by law, cannot be judged on facts that he or she didn't now at the time of the incident. Gunfighter - I appreciate the caveats that you've shared. I must admit that as a non-LEO it is difficult to understand some of the taser-related deaths that are occurring ... however, I appreciate that the LEO has a tough and often thankless job. Like with many people ... a LEO is taken for granted until you need one. That being said ... I wish that LEOs were involved in taser-related deaths on average of once per week in America. It's sad that there have been so many preventable deaths. The effects of the Taser needs to be sorted out from the often criminally incompetent and lethal forms of restraint that the police are using now. Note that "excited delirium" is closely associated with agitated individuals who are then subjected to incompetent restraint and suffocation. See: DOJ statement in 1995 on avoidable death in restraint or custody: Positional Asphyxia and Sudden Death http://bit.ly/fWyJKg. Demand retraining of all security and police staff so that no more deaths occur due to restraint asphyxia.